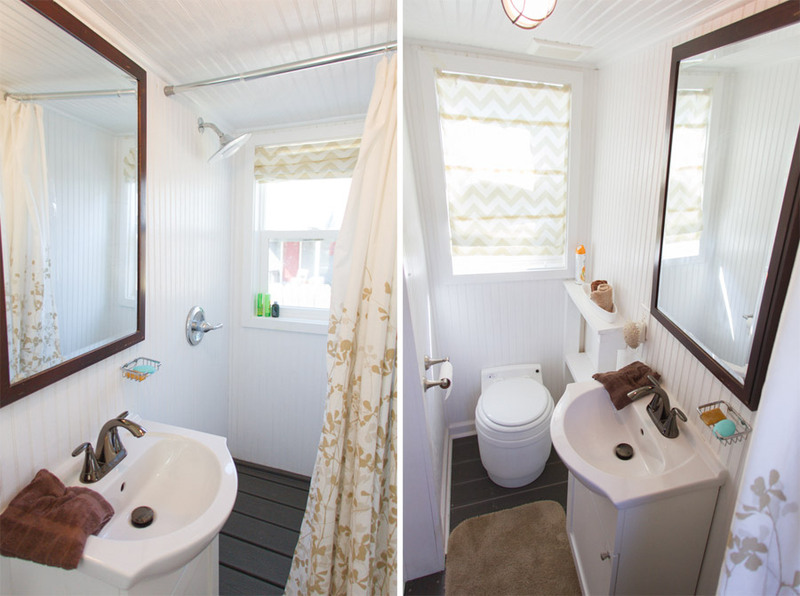 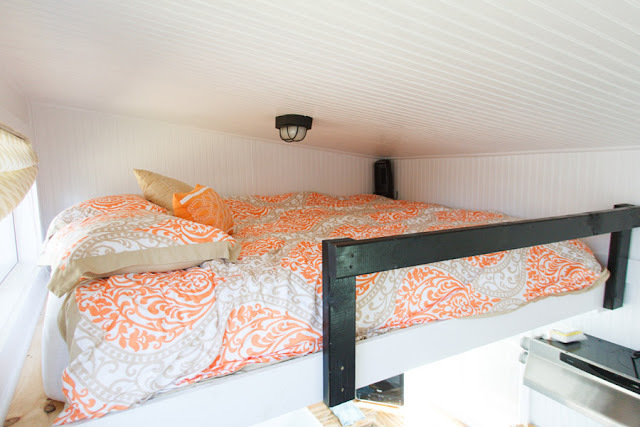 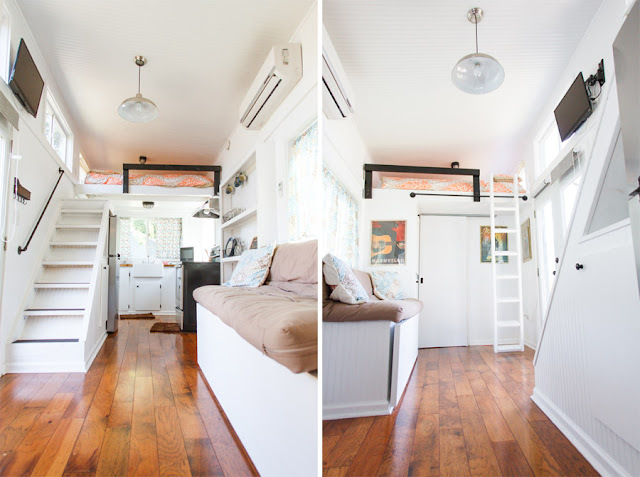 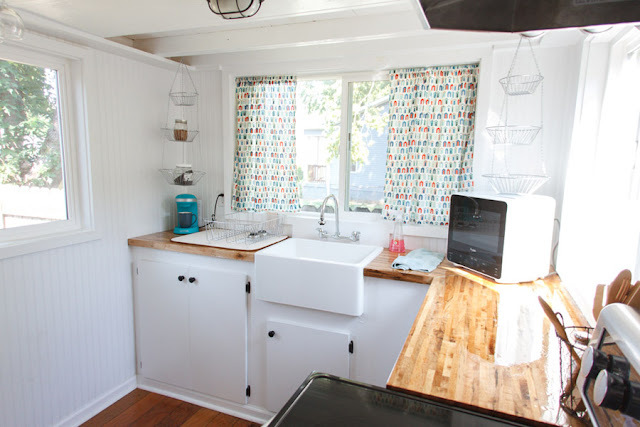 This pretty, little tiny house on wheels is by Tennessee Tiny Homes of Nashville, Tennessee. 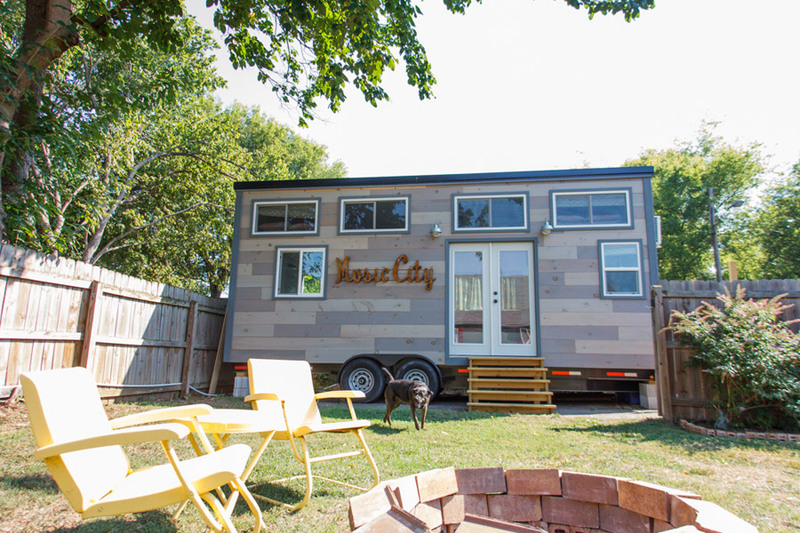 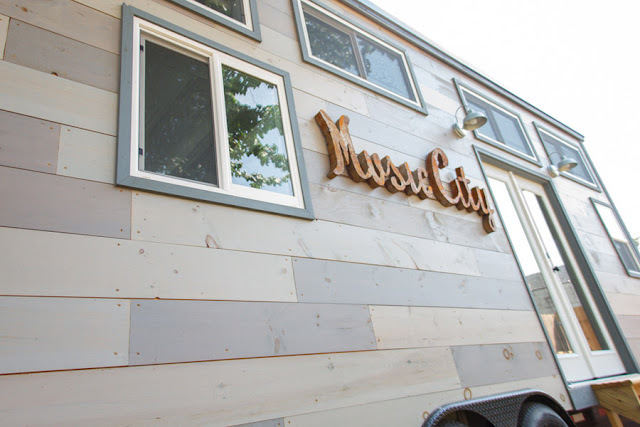 Named the "Music City Tiny House", the home measures 8' by 24' for a total size of 192 sq ft. 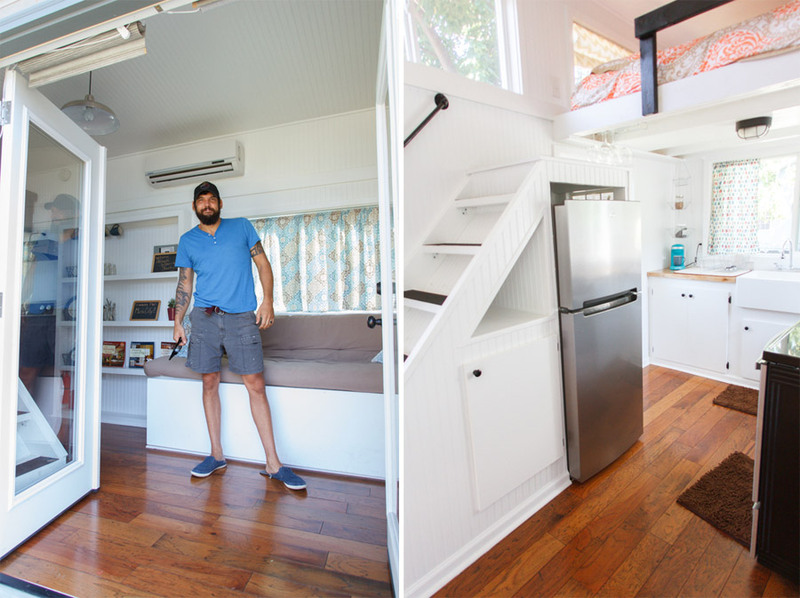 Inside its bright interior you'll find a full kitchen, a full bathroom, a living room space, and two lofts- one of which is large enough to fit a queen-sized bed. 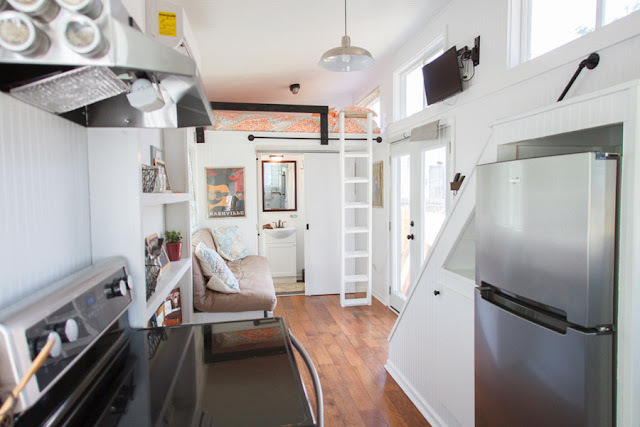 According to Tennessee Tiny Homes' website, the full model of a home this size sells for $40,000. Video tour of the home is posted below!